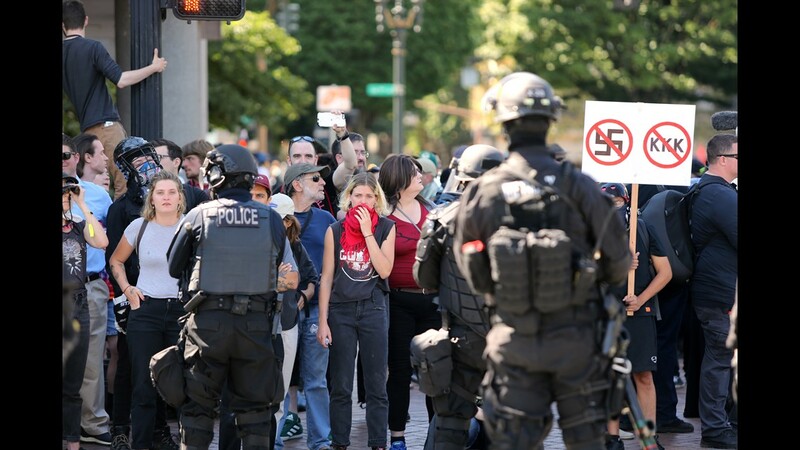 Portland police are accused of being heavy-handed and reportedly injuring people who were protesting a rally by extreme-right demonstrators on Saturday. 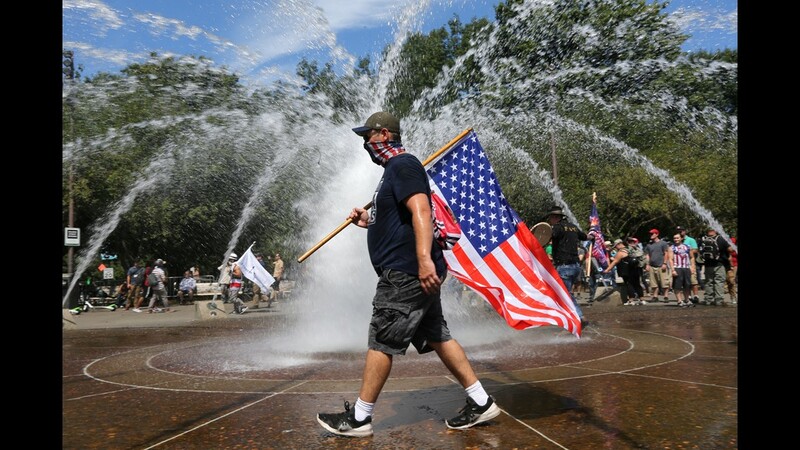 PORTLAND, Ore. — Police were accused Sunday of being heavy-handed against people protesting a Portland rally held by extreme-right demonstrators. 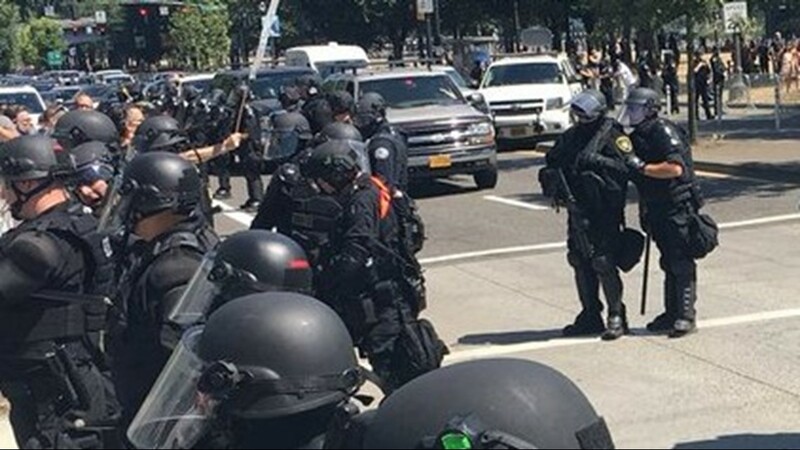 Officers reportedly injured some counter-protesters, prompting the city's new police chief to order a review of officers' use of force. 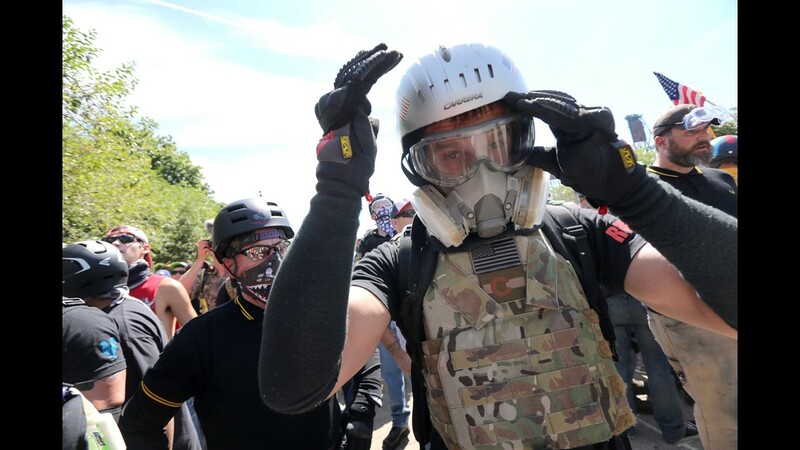 Police in riot gear tried to keep apart the opposing groups, many of whom had arrived on Saturday dressed for battle, in helmets and protective clothing. 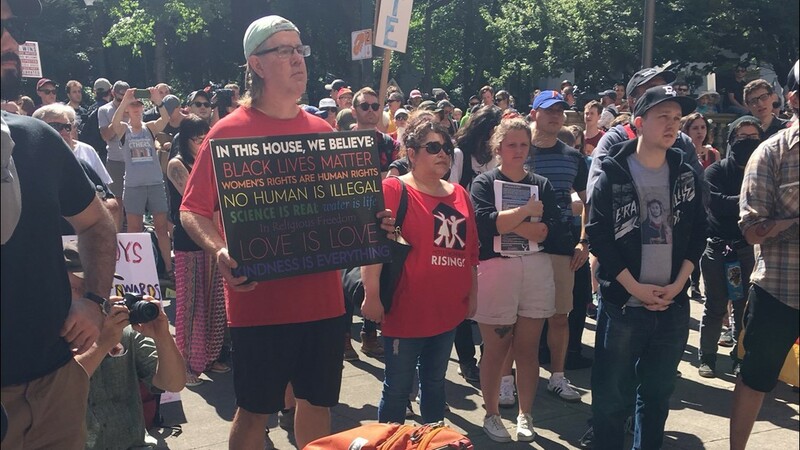 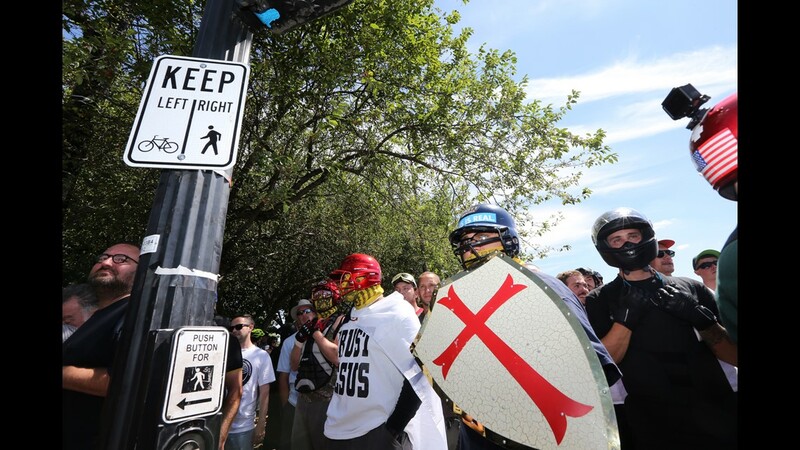 Dozens of the extreme-right protesters were bussed to Portland, one of America's most liberal cities, from nearby Vancouver, Washington. 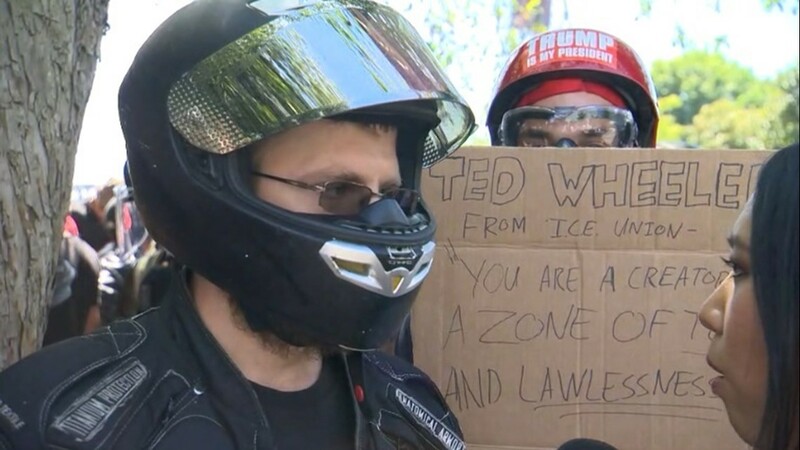 But on Saturday, some said police acted mostly against those protesting the presence of the extreme-right demonstrators, using stun grenades and what appeared to be rubber bullets against them. 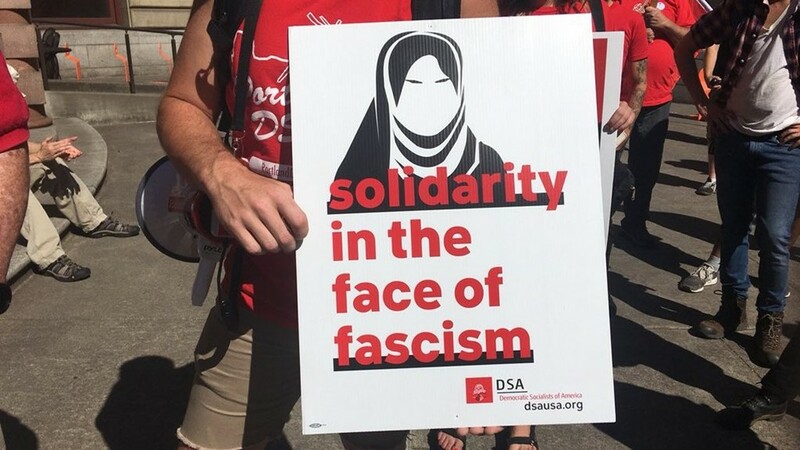 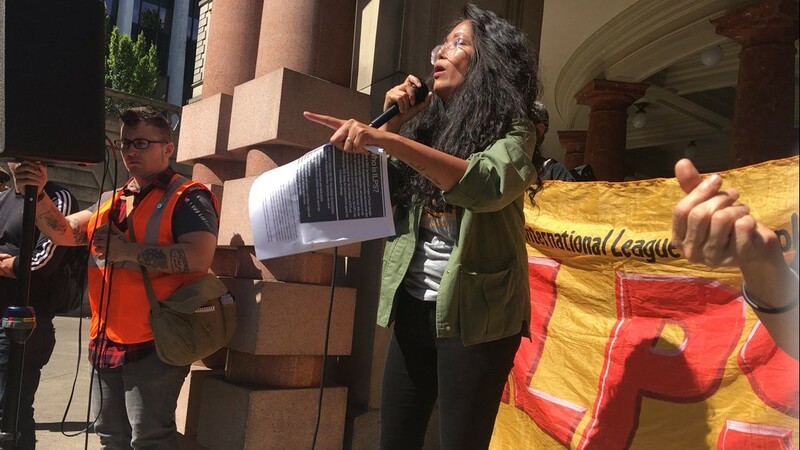 Olivia Katbi Smith, the co-chair of the Portland Democratic Socialists of America, told KGW an investigation isn't enough. 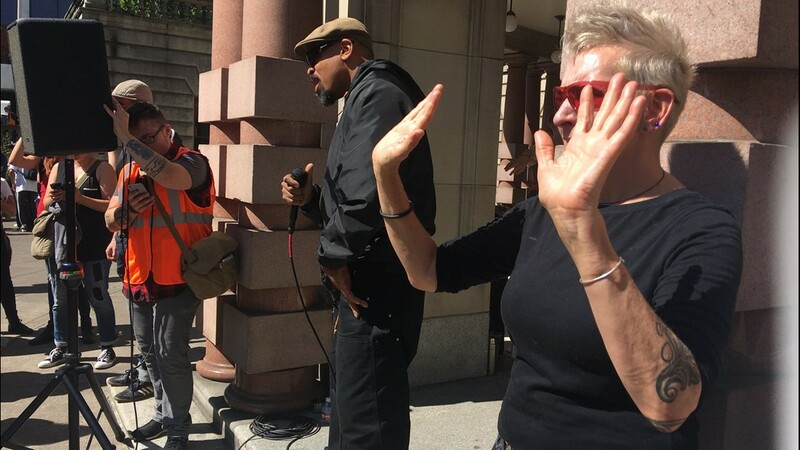 She called on the Portland Police Bureau to end use of force tactics at protests. 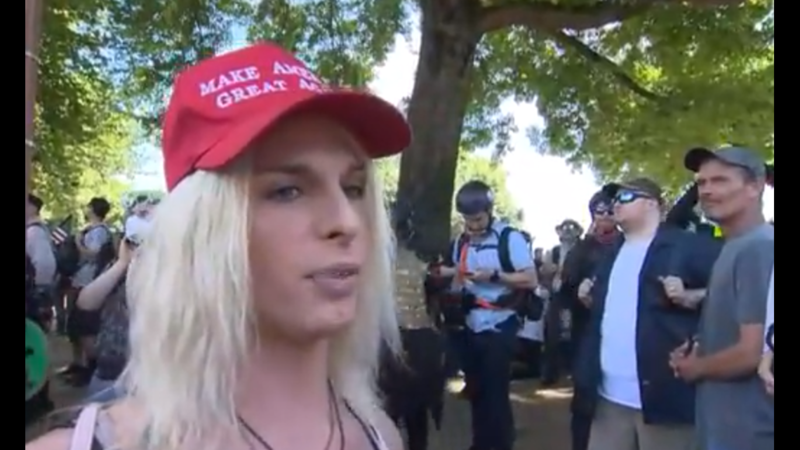 "It seems to keep getting worse, and I think someone is going to die," she said. 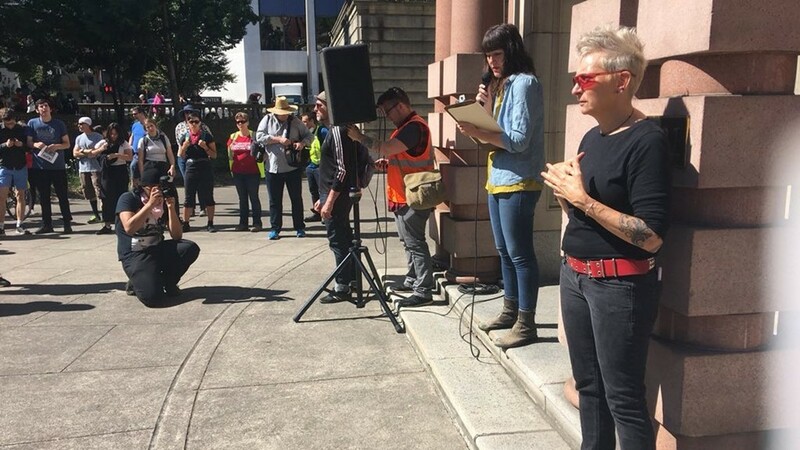 "And their blood will be on the hands of Mayor Ted Wheeler and Chief Danielle Outlaw." 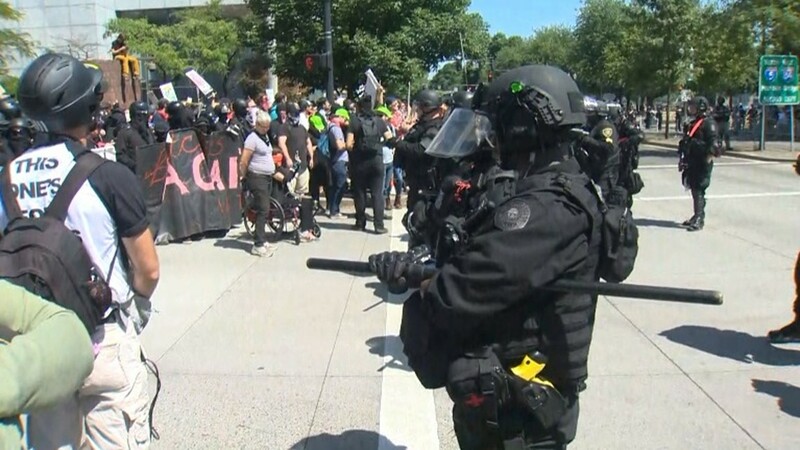 The head of the Oregon branch of the American Civil Liberties Union also criticized the way police handled the demonstrations. 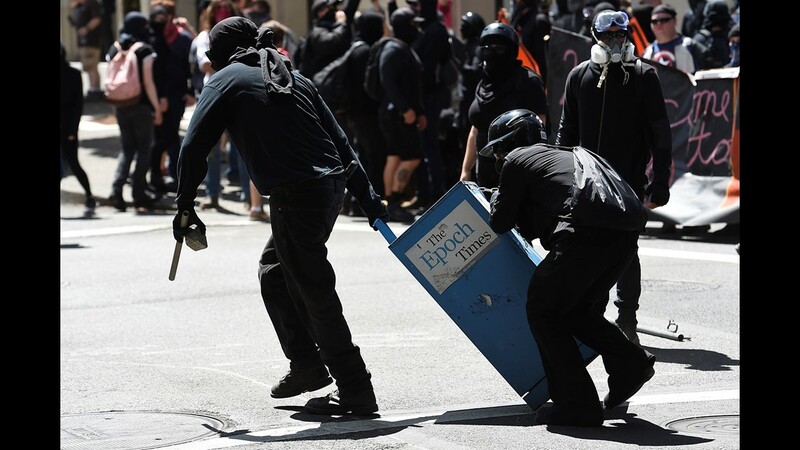 Police ordered the counter-protesters to disperse, then moved in behind a volley of stun grenades. 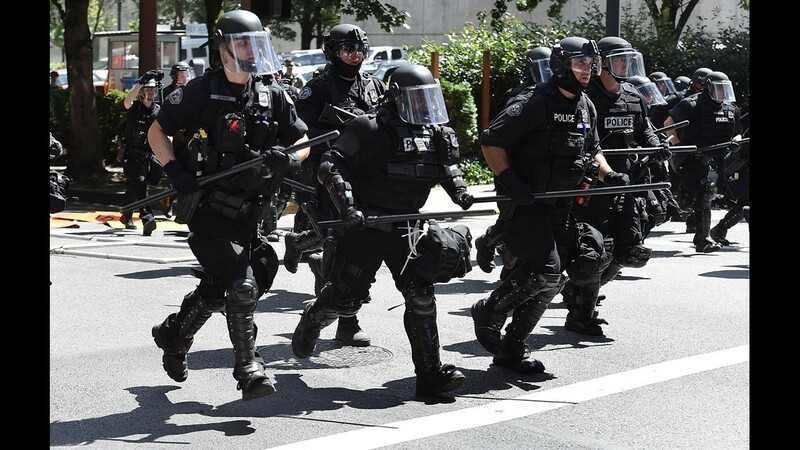 The blasts echoed through downtown Portland. 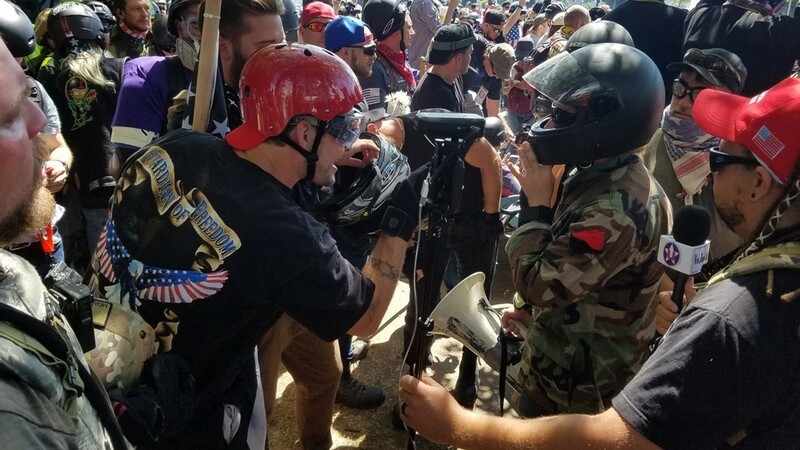 One of the rounds reportedly hit a counter-protester in the head, becoming embedded in his helmet and injuring him. 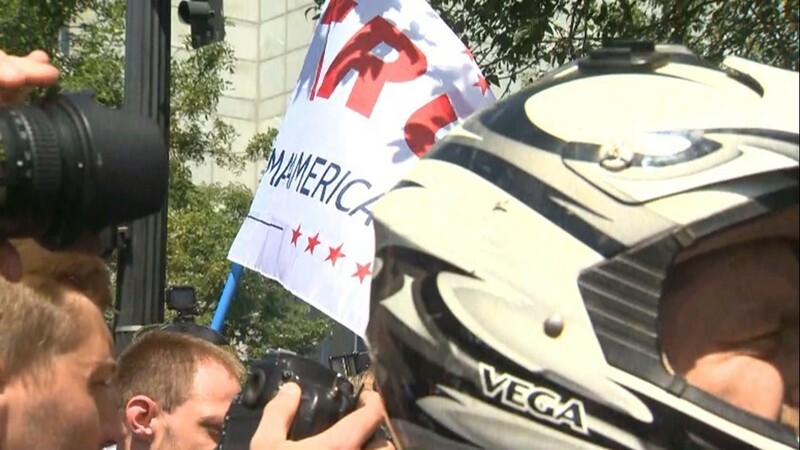 PPB is reviewing the incident and could not say whether or not the item lodged in the helmet came from police. 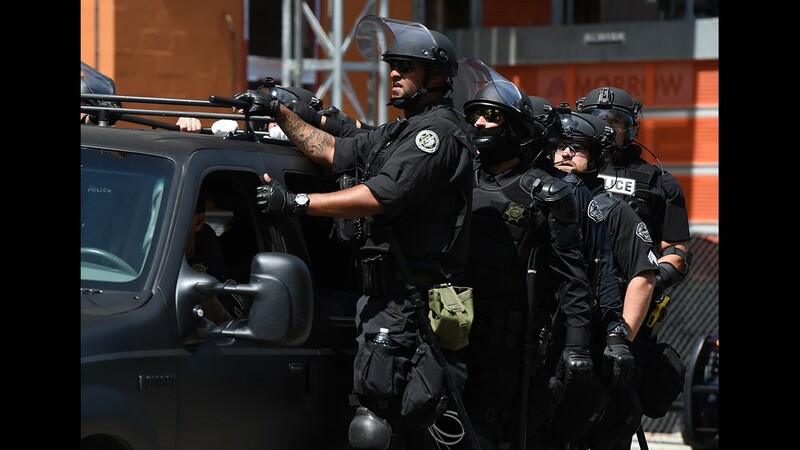 One woman was taken to a hospital after being hit in the arm and chest with a "flash-bang" grenade, local media reported. 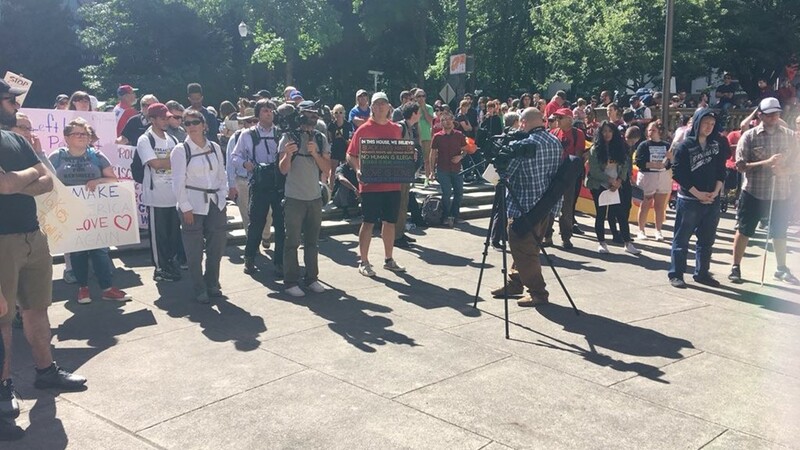 A reporter for The Oregonian/OregonLive was bloodied when he was struck by a projectile. 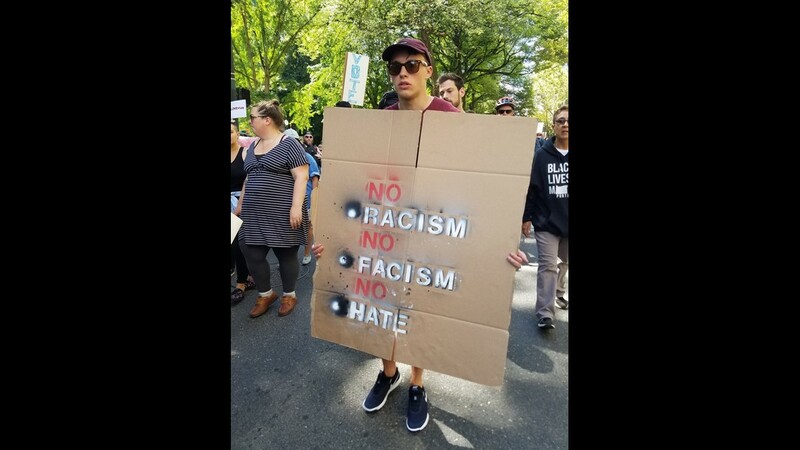 Eder Campuzano said later on Twitter he was "okay." 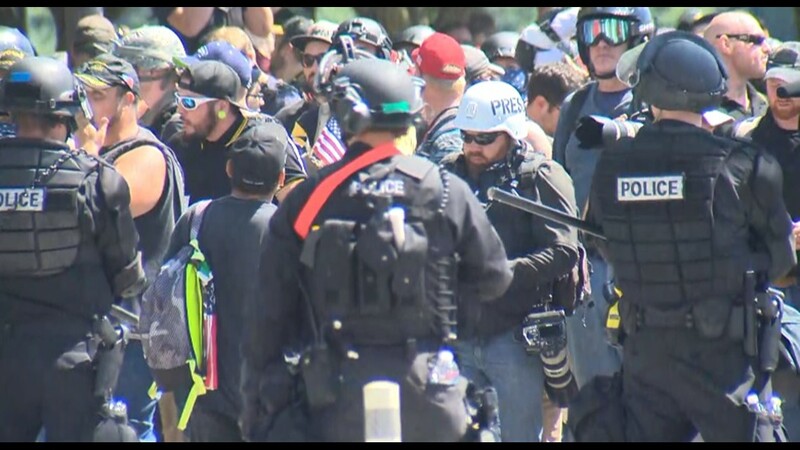 Video shot by Doug Brown, who was covering the protest for the ACLU, shows police in riot gear shoving him and others down the street. 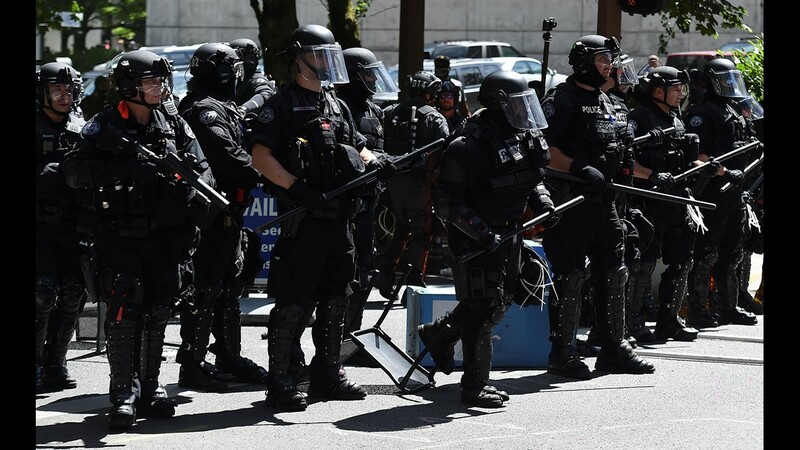 Brown said he was rushed by officers more than once. 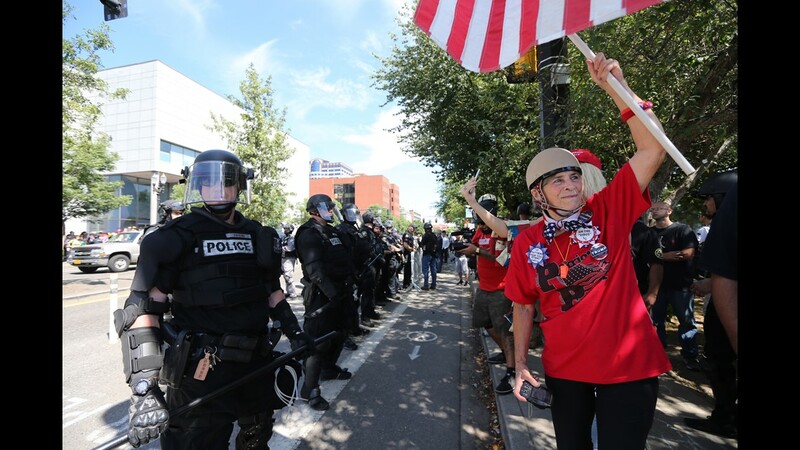 In the video you can also hear repeated announcements being made over a loudspeaker telling protesters to clear the area and warning that failure to do so may result in arrest, citation or riot control tactics. 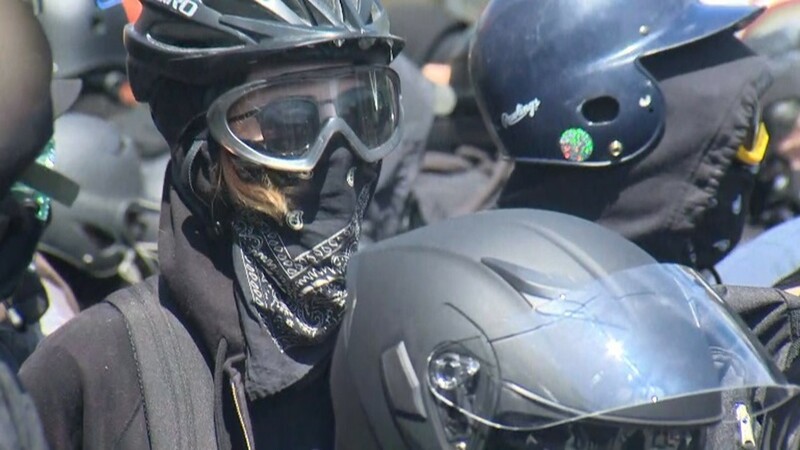 The announcements also said officers observed protesters throwing items at officers. 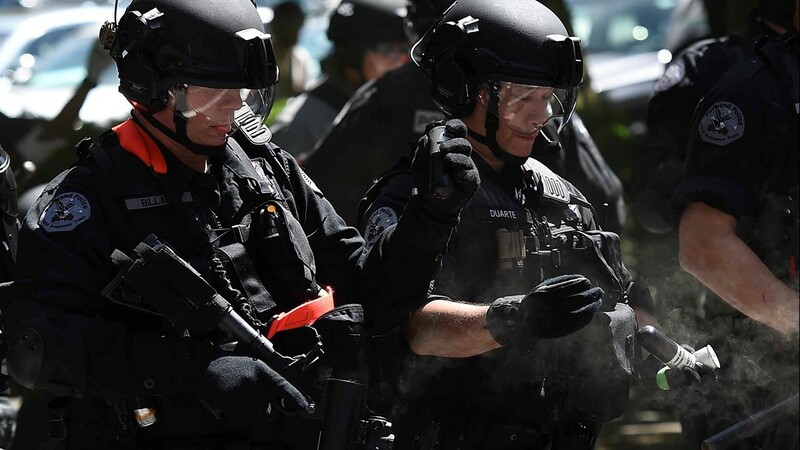 “People were throwing projectiles at law enforcement that included rocks, bricks, there was a report from officers that they were being, there was some type of unknown chemical agent that was being thrown on them that had a strong vinegar smell,” said Portland police Sgt. 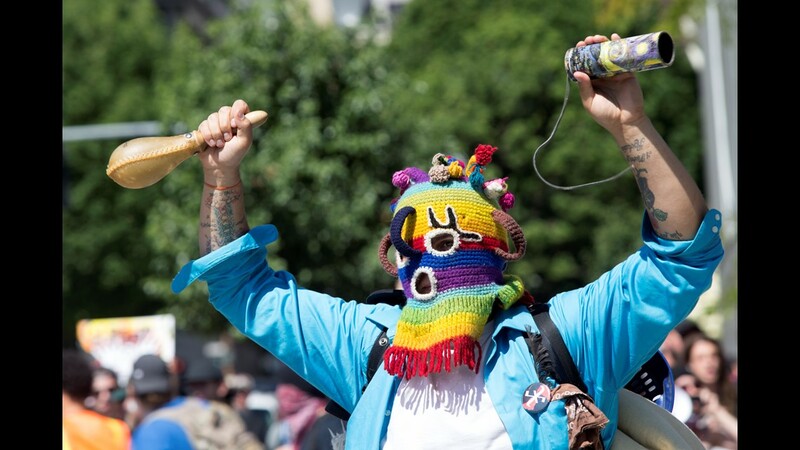 Chris Burley. 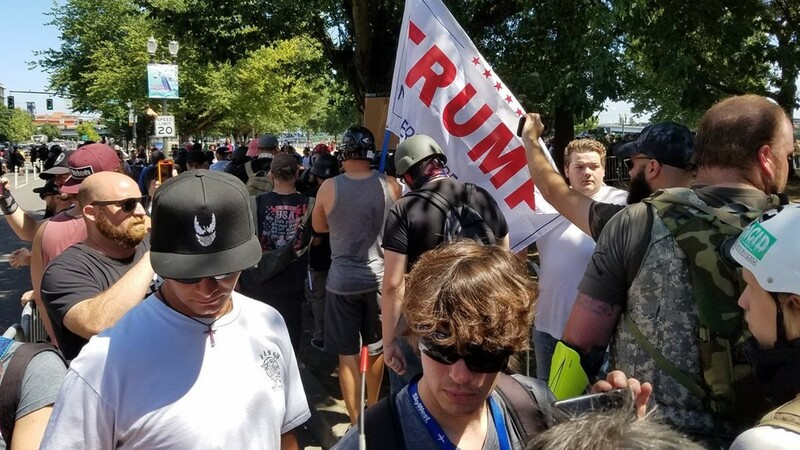 27-year-old Robert J Majure was arrested near Southwest Naito Parkway and Southwest Columbia Street on charges of Harassment and Resist Arrest. 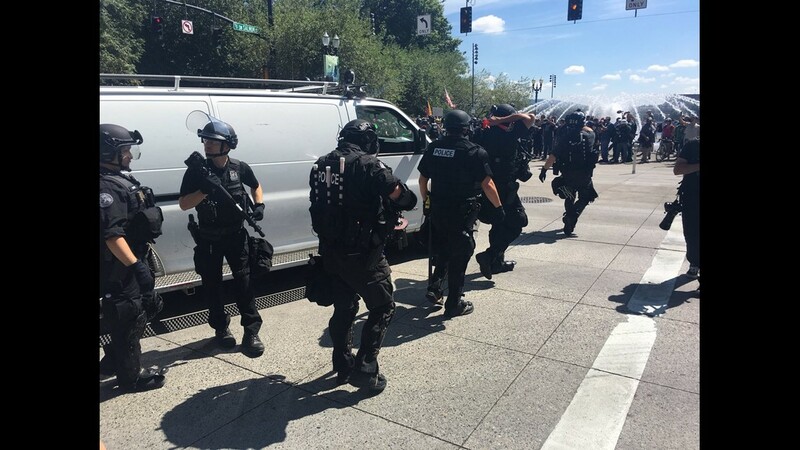 45-year-old Tracy L Molina was arrested near Southwest 2nd Avenue and Southwest Columbia Street on charges of Disorderly Conduct in the Second Degree and Attempt Assault on a Public Safety Officer. 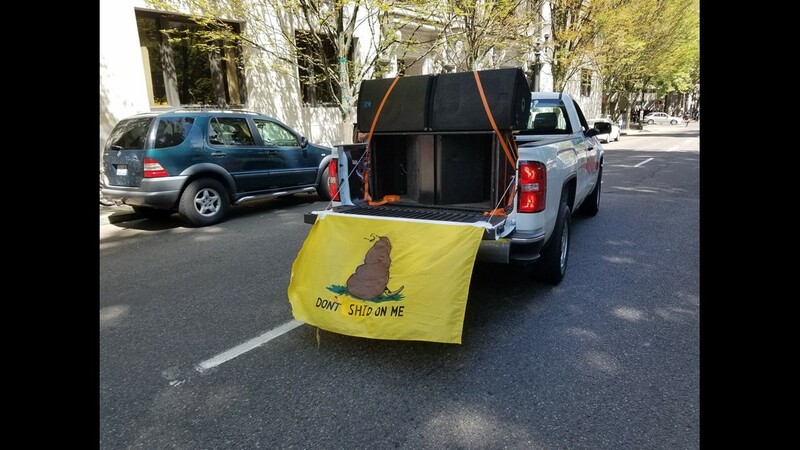 28-year-old Tristan I Rominemann was arrested near Southwest Naito Parkway and Southwest Columbia Street on charges of Interfering with a Police Officer and Disorderly Conduct in the Second Degree, and Harassment. 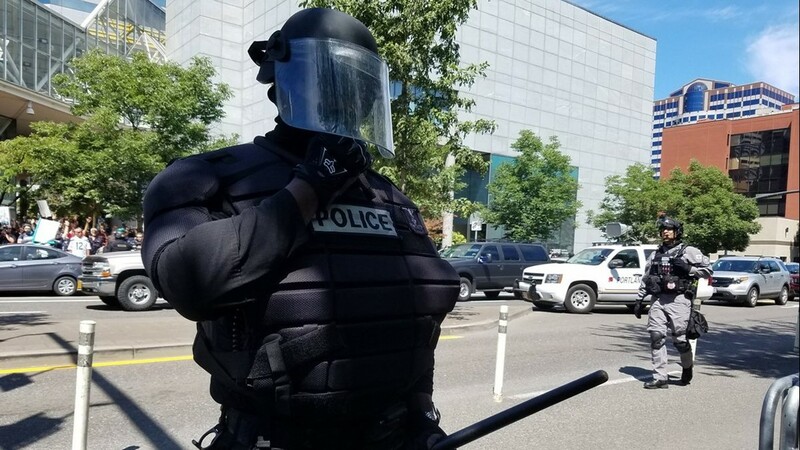 34-year-old Joseph C Evans was arrested near Southwest 2nd Avenue and Southwest Jefferson Street on charges of Recklessly Endangering Another Person and Unlawful Use of a Weapon. 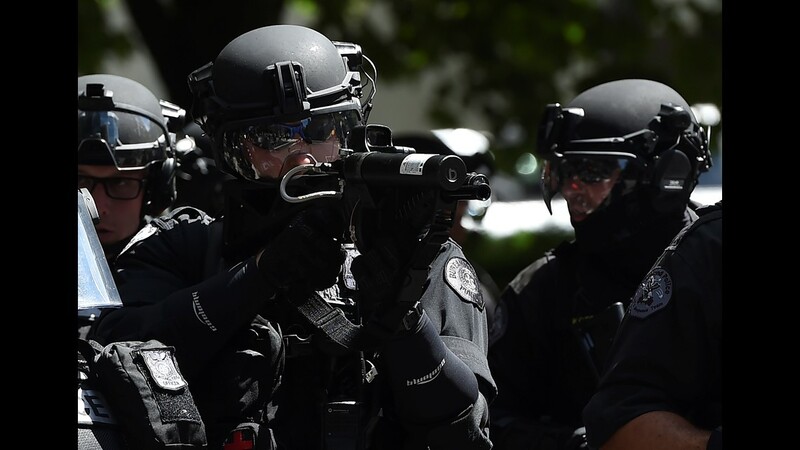 Chief Outlaw, who assumed command less than a year ago as Portland's first African-American female police chief, said in a statement Sunday she takes all use-of-force cases seriously. 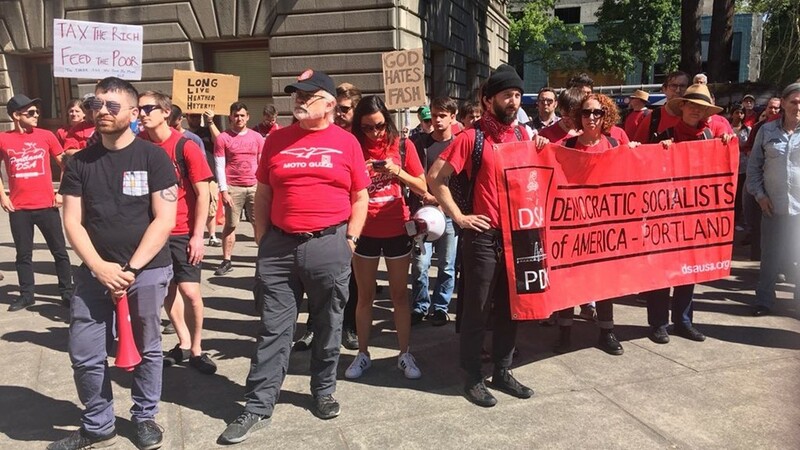 Anti-fascist demonstrators gather at City Hall before heading to Waterfront Park in response to Patriot Prayer rally in Portland. 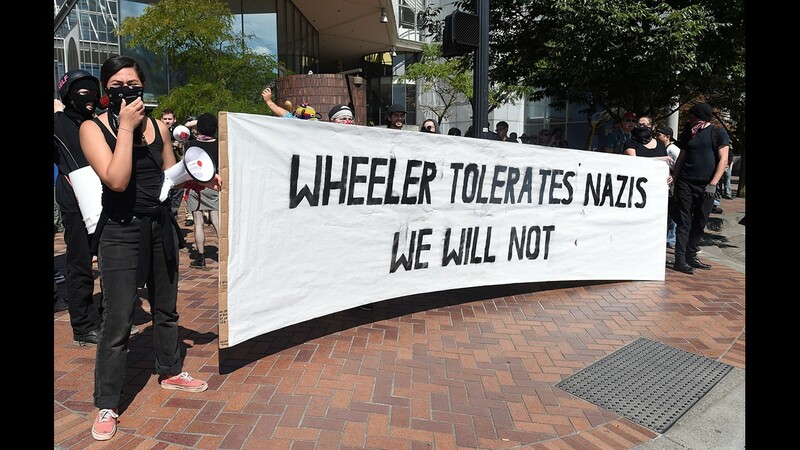 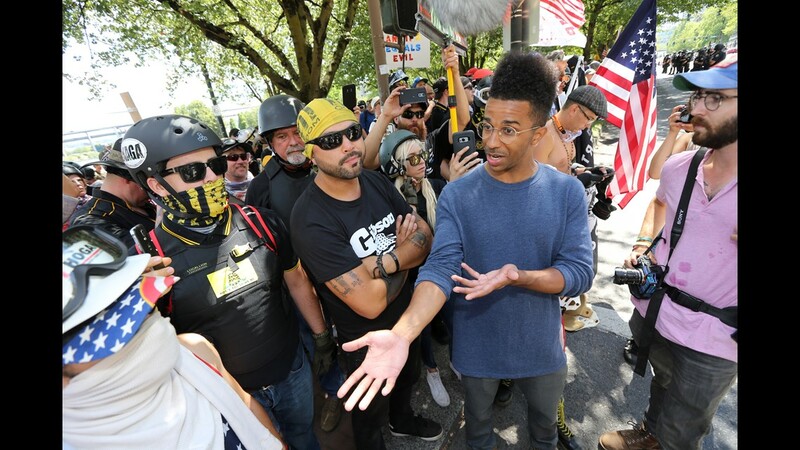 Saturday's incidents started with demonstrators aligned with Patriot Prayer and an affiliated group, the Proud Boys, gathering in a riverfront park. 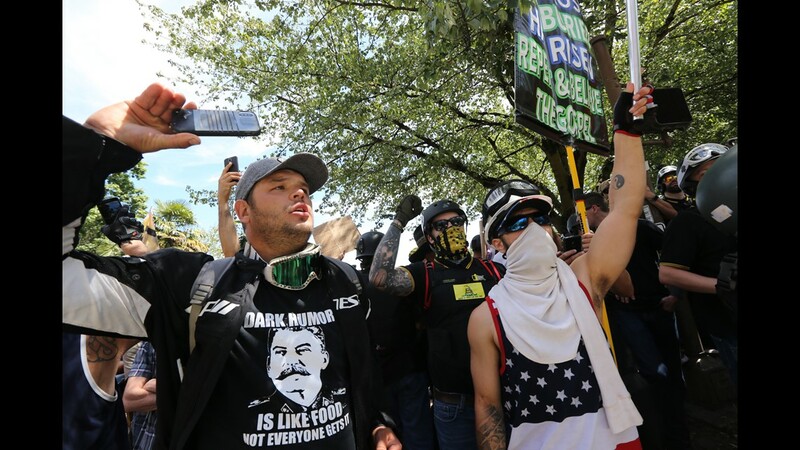 The Proud Boys are characterized as a hate group by the Southern Poverty Law Center, which is "dedicated to fighting hate and bigotry and to seeking justice for the most vulnerable members of society." 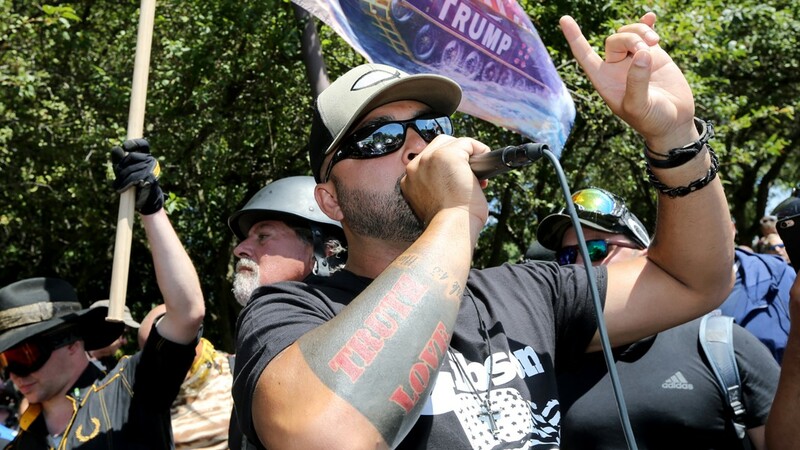 Saturday's rally, organized by Patriot Prayer leader Joey Gibson, was the third to roil Portland this summer. 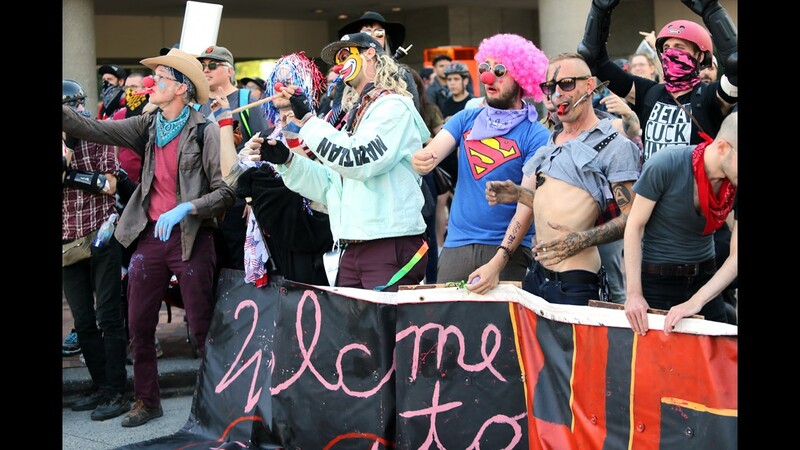 Two previous events ended in bloody fistfights and riots and one counter-protester was sent to the hospital with a skull fracture. 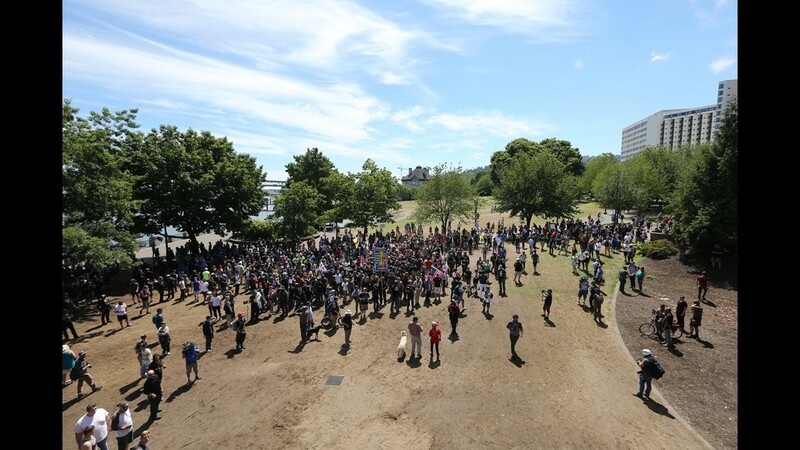 This time, Gibson changed the venue from a federal plaza outside U.S. District Court (Terry Schrunk Plaza) to Waterfront Park so some of his Oregon supporters could carry concealed weapons as they demonstrated. 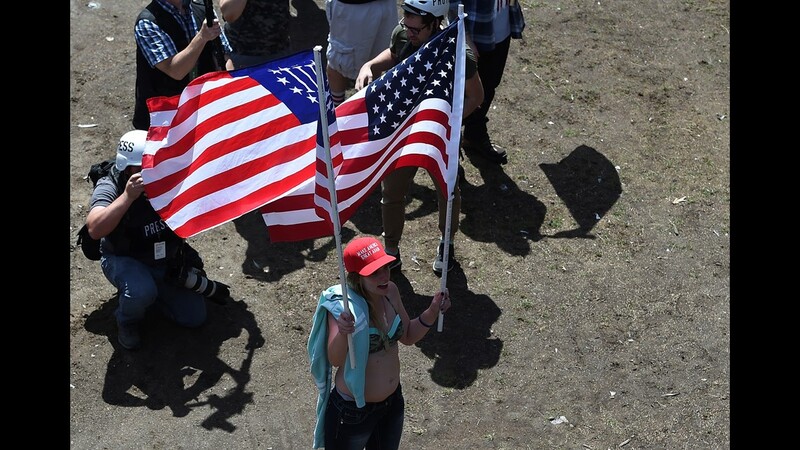 "We're here to promote freedom and God. 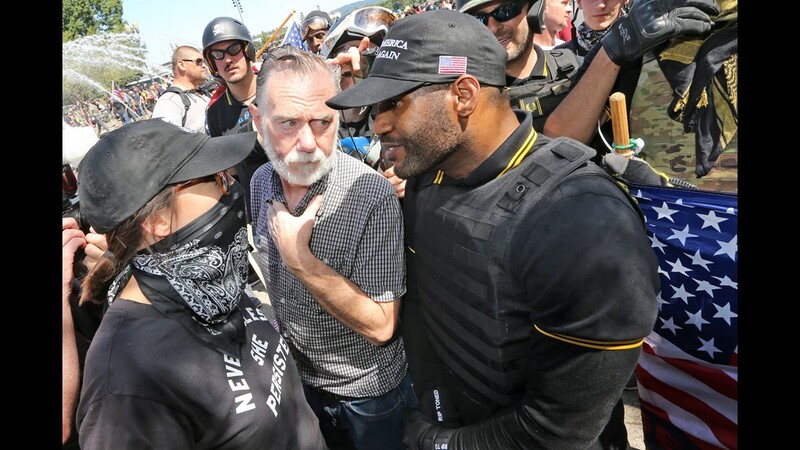 That's it," Gibson said. 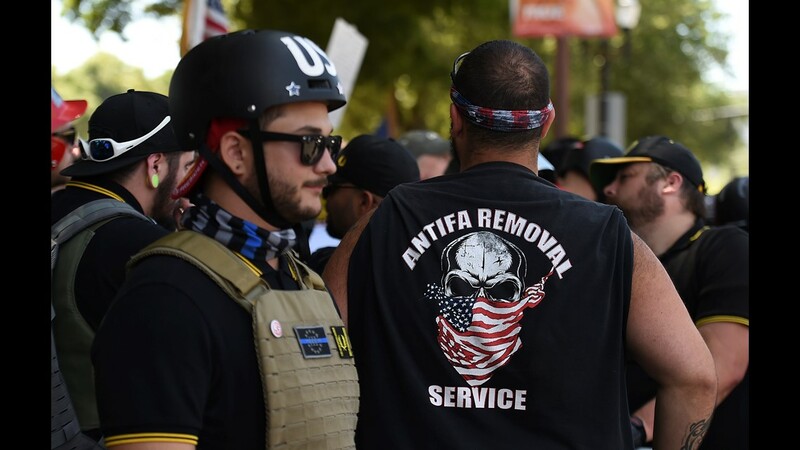 "Our country is getting soft." 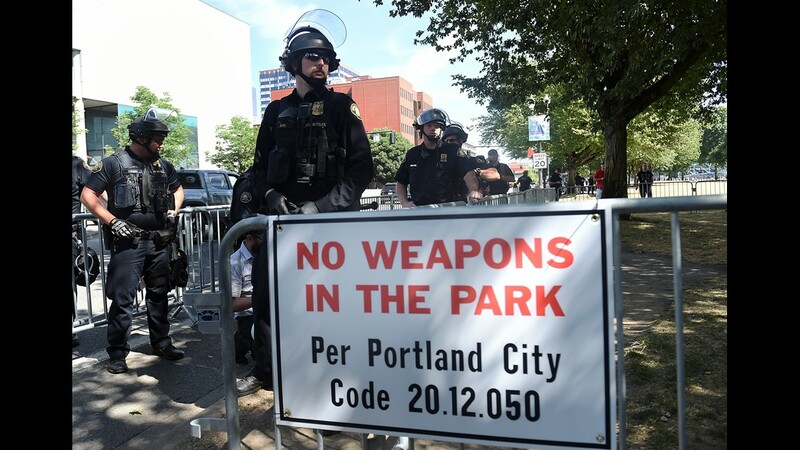 Prior to the protest, police said in a statement that weapons may be seized if there is a violation of law and added that it is illegal in Portland to carry a loaded firearm in public unless a person has a valid Oregon concealed handgun license. 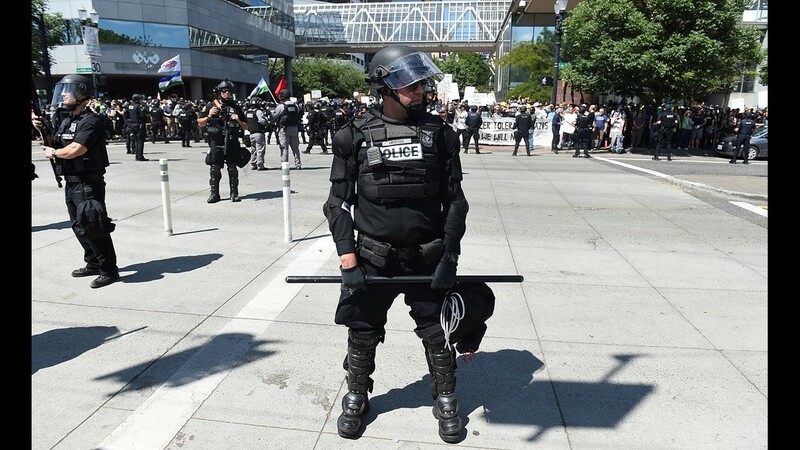 Among the things police ended up confiscating were long sticks and homemade shields. 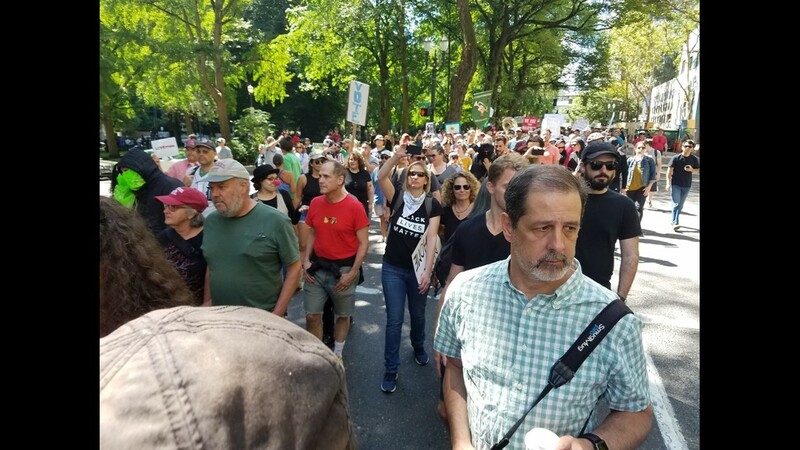 Prior to Saturday's protests, a coalition of community organizations and a group representing more than 50 tribes warned of the potential for even greater violence than previous rallies if participants carry guns. 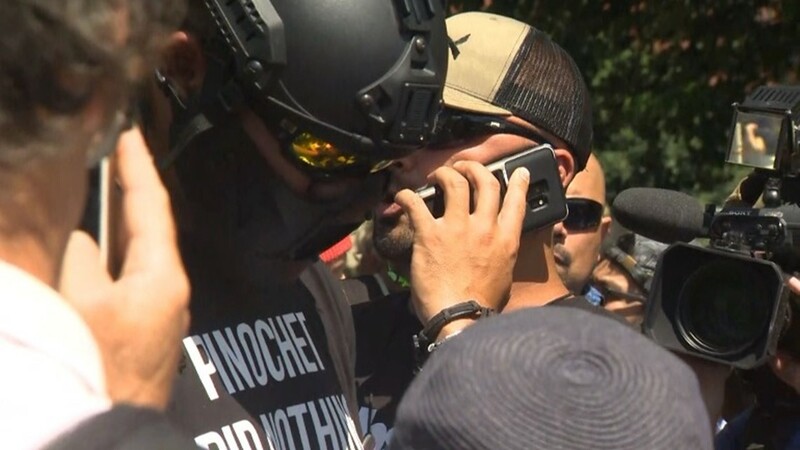 It called on officials to denounce what it called "the racist and sexist violence of Patriot Prayer and Proud Boys" and protect the city. 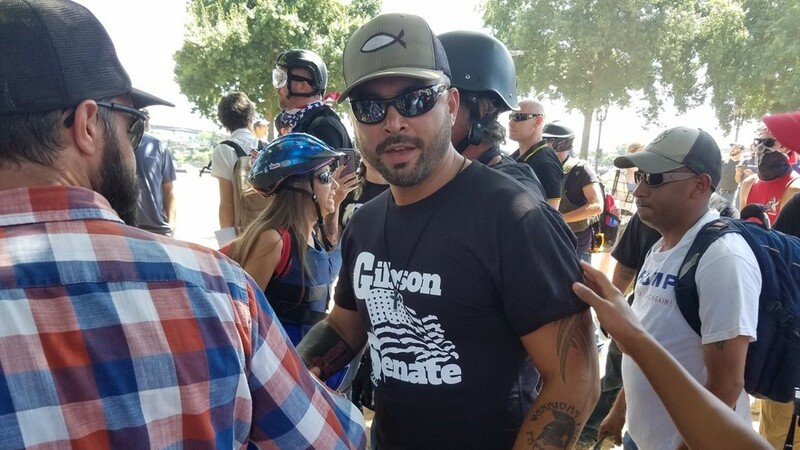 Gibson, who is running a longshot campaign to unseat Democratic U.S. Sen. Maria Cantwell of Washington, said in a live video on Facebook last week that he won't stop bringing his followers to Portland until they can express their right-wing views without interference. 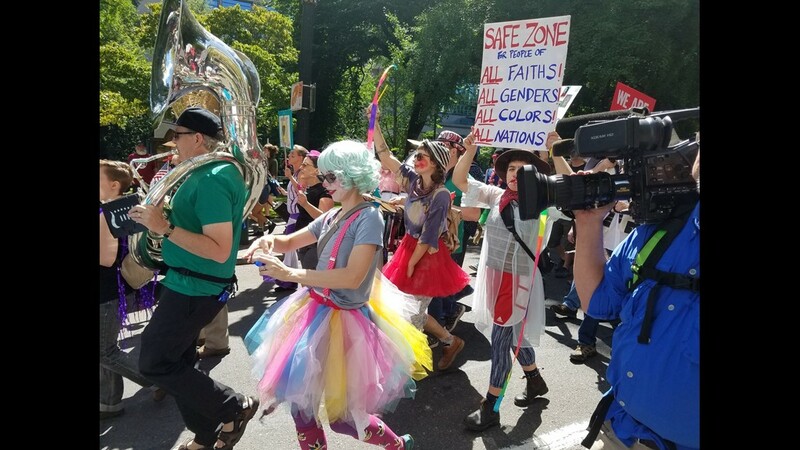 KGW journalist Lindsay Nadrich and AP journalist Manuel Valdes contributed to this report from Portland, Oregon.